Green World Group is a pioneer in offering training to individuals and working professionals on various facets of achieving industrial safety and health environment. The courses offered by GWG are tailor-made to meet the requirements of the industry on occupational safety and management. Some of the courses offered by the institution include: NEBOSH, IOSH, HAZOP, HACCP and diploma courses which are offered through class room coaching and also through online and distance education programmes. NEBOSH-IGC course is one of the most revered training programmes on work place safety offered by an independent UK-based board. The board authorises hundreds of educational institutions across the world to impart knowledge on health, safety and environmental issues related to workplaces. In India, Green World Group is conducting NEBOSH-IGC classes for workers and HSE professionals. NEBOSH –IGC helps students to become thorough HSE professionals, who can formulate their own ways of dealing with various safety issues at work places. Besides, the course also helps the working professionals to scale new career heights. 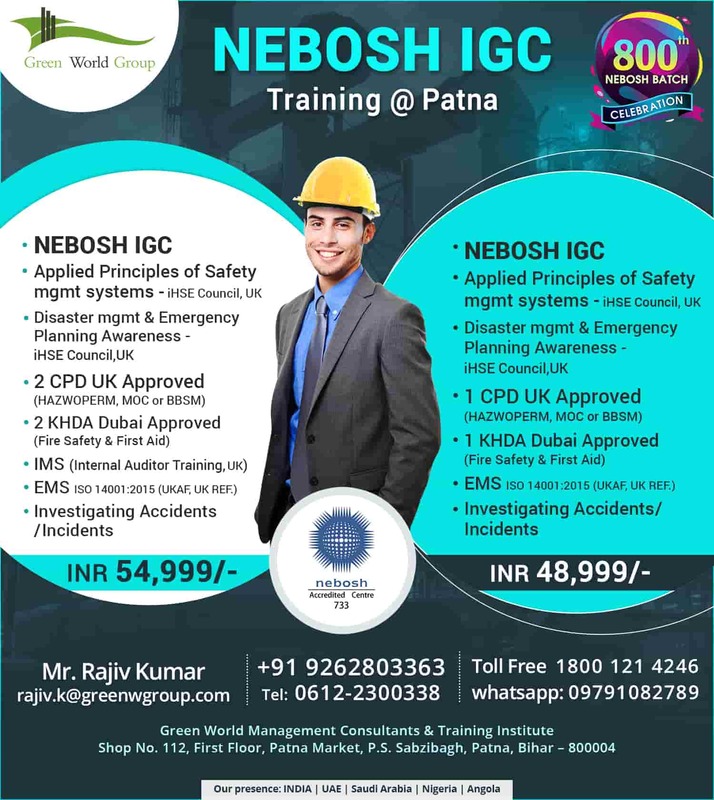 NEBOSH-IGC course trains unskilled workers and students, who want to be associated with vocational safety and health sector, to become safety experts.